The aim of introducing an international standard for Wireless Charging The Wireless Power Consortium (WPC) was established on the 17th December 2008 and in the same year adopted Qi as the single standard for inductive charging. The introduction of Qi as the global standard enables universal inductive charging for all Qi compatible electronic devices. That means that every Qi compatible device can be charged on every Qi compatible charging station. The Wireless Power Consortium, with 166 members including market leaders Samsung, Nokia, LG, Panasonic, HTC, Sony and Motorola, is the biggest union of manufacturers for cable free, inductive charging. 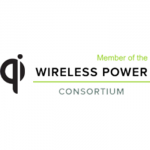 “Due to the increase of Qi products, it is important to ensure that all wireless chargers work correctly with all mobile devices” says WPC Chairman Menno Treffers “the continually updated database created by Testronic makes it easy to determine whether a new product will be compatible with previously certified products”. “In our view the introduction of the Qi Standard is one of the most important technical developments for users of mobile devices such as phones, tablets and other devices that are now used everyday in our work and private lives“ says Johan Craeyback, Chief Technology Officer at Testronic Labs. Further information can be found at Wireless Power Consortium.